This package includes everything you need for the wedding and informal reception! 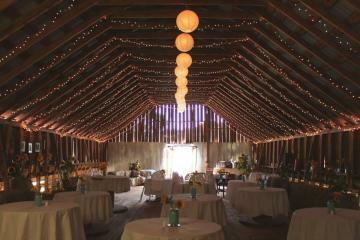 The ceremony and reception (for 10-15 guests) will be held in our spacious and rustic barn loft. Additional guests (up to a total of 24) may be added for $5.00 each. From This Moment is a very fun and relaxed event. Our staff takes care of all the details to make your wedding personal. We work with you on your theme, colors, and choices in cake and flowers (to make these arrangements, we need as much advance notice as possible). 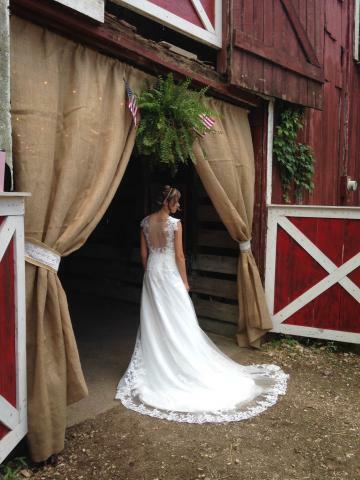 Some brides like to do a lot, and some nothing at all. Either way, we will assure you an event to be remembered! 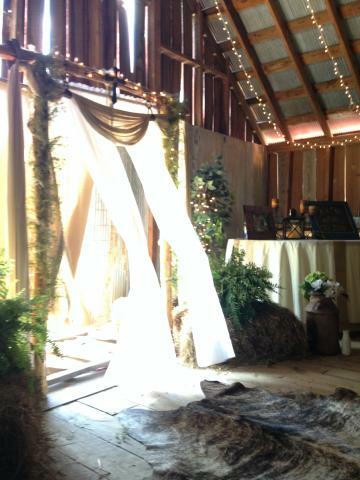 From This Moment includes an ordained minister, music for the processional and recessional, site rental in the Barn Loft at Hidden Valley, pew seating with pew bows, a coordinating bridal bouquet and and a groom’s boutonniere. Music of your own choosing may be played before and after the wedding, or we will play something appropriate. After the wedding ceremony, you and your guests will have plenty of time to mingle for congratulations and photography over cake and coffee, and your choice of lemonade or sweet tea. A wedding hostess will be on hand to cut your two tiered cake, and to coordinate the wedding toast of sparkling juice as guests or your own photographer (not included in the package) snaps pictures of you as newlyweds “Mr. and Mrs. From This Moment On.” Included in this package is all the set up, staffing during the event, and clean up afterwards. All you need to do is tell us your colors, secure your wedding license, and invite your guests...then show up in your wedding clothes, take the bouquet and walk down the aisle! Total price for this all inclusive package is $1199 which includes sales tax. The package above plus a two night honeymoon is a total of $1499. A deposit of 50% ($599.50) will secure the date and time of your event. We honor VS, MC, and DS. For this package along with a two night honeymoon, the deposit amount is $749.50. Payment in full is due two weeks before the date of your arrival.